Phoenix Home Values: Why people are lining up to buy Phoenix homes! I have a report which explains in detail why prices have gone up and why your Phoenix home might be worth more than you think! 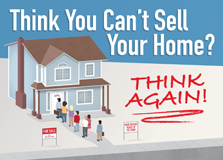 The report is entitled “Think You Can’t Sell Your Home? Think Again!” I believe you’ll be surprised when you download and read the report about today’s market.